Where do freelancers fit in? It’s probably no surprise to hear that the way in which we work is changing. More and more employees are leaving their nine to five jobs and becoming freelancers. Industries, such as engineering, are finding that this newly-defined workforce offers several advantages for both the employer and those hired. According to a 2014 study, a third of the workforce — more than 53 million Americans — are considered freelancers. The study, “Freelancing in America: A National Survey of the New Workforce,” was conducted by Edelman Berland and commissioned by Freelancers Union and Elance-oDesk in 2014. When asked why this type of work is appealing, the majority of freelancers responded that it gives them more control over their career, allowing them to decide where, when and how they work. They are able to choose projects that best fit with their schedules and ideal pay rate. It is becoming more common to use freelancers in a variety of industries, including the engineering field. This is partly due to the increase in technology. 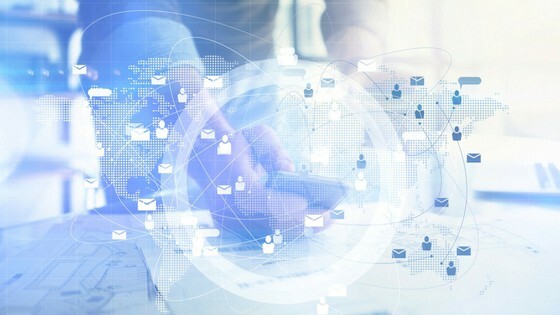 Employees now depend on a multitude of devices on a daily basis, which allows them to stay interconnected no matter where they work. Engineering firms that are open to hiring freelancers are realizing that it provides a network of skilled workers in a variety of specialties. It also offers greater flexibility for both the employer and freelancer and gives smaller companies a competitive advantage when compared to larger companies. “Companies can outsource jobs at a fraction of the cost and without the demand of full-time employment,” said Malik Zaharia, founder of Field Engineer. According to the World Bank, there are significant advantages with online outsourcing compared to traditional employment. Companies are able to save on the cost of labor while maintaining quality work. Firms can still hire talented individuals to complete projects; however, they only are required to pay when the job is complete. Businesses are also finding that freelancers tend to be more innovative and receptive to new ideas and suggestions. Because freelancers work with a variety of businesses, they are able to bring a varied skillset to the table. They often accomplish work quickly and are used to meeting a variety of deadlines for multiple companies. Since freelancers are used to working on their own, it can free up time for your business. As long as your firm explains the project expectations clearly, hiring these types of workers will allow you to focus on your own tasks while they are completing the projects assigned. Independent contractors (40 percent): Making up the majority of the independent workforce, independent contractors focus on temporary or supplemental project-based work. Moonlighters (27 percent): These employees work in a traditional job in addition to taking on freelance projects. Diversified Workers (18 percent): Workers in this category include those with many sources of income from both traditional employers as well as freelance work. Temporary Workers (10 percent): This group includes those with a single employer, client or project where there is temporary work. Freelance Business Owners (5 percent): Some business owners, usually those with one to five employees, consider themselves freelancers as well and make up this category. For engineering firms that are open to hiring freelancers to assist with project-based work, there are several online platforms available to find talented individuals in engineering and architecture. For example, www.guru.com provides a network of more than 1.5 million gurus who are eager to help with any technical, creative or business project you have on the table. You can explore each freelancer’s profile and browse their previous work so you can hire with confidence. Another marketplace source, www.upwork.com, makes it easy to hire freelancers. Your company will have access to Upwork’s large pool of top-quality freelancers and can choose the level of service you need. By investing the time to find an experienced and talented freelancer, you are opening your business to untold advantages in the future. Originally published at www.iconnectengineers.com on February 16, 2017. Shifts in workforce: where do we all go to?